When you have Expiring Visit Schedules it's important to extend them otherwise your team will not have any Visits to Check-In & Out of. Once you click on Show Expiring Visit Schedules on the dashboard all that is required is to EDIT the End Date to another year into the future or more. Once this is done, however, you'll need to go into the Visit Schedules and Re-Allocate your team. 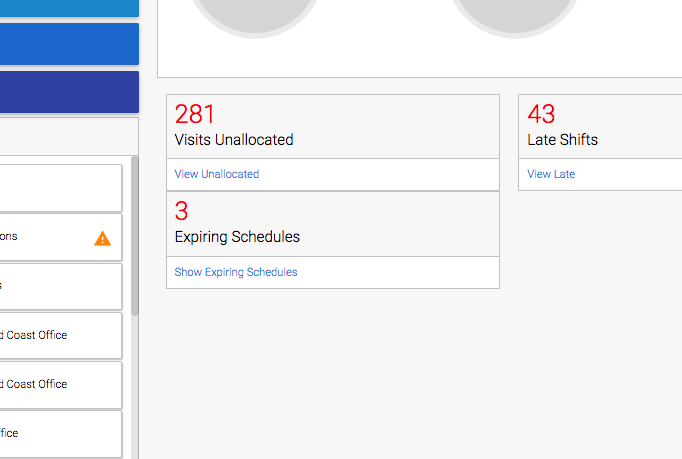 Click the View Visit Schedule Button and Re-allocate the team that services that Visit Schedule.